Piper McCracken needs a fresh start. Her father’s death, a failed engagement, and her ex-fiancé-turned-stalker prompt her to make a bold leap . . . from the Windy City to Fortuna, Texas. 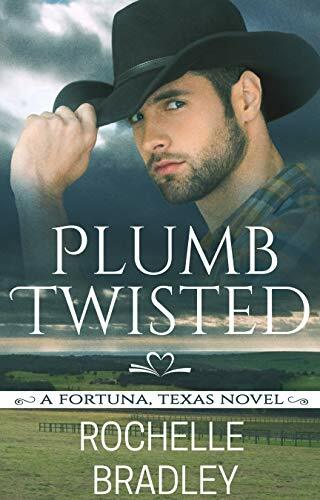 Piper feels ready to take on small town life—that is, until she’s erroneously proclaimed a shy cowboy’s mail-order bride. Hired as a personal assistant to Jessie Barnes, Piper becomes much more: friend, beta tester, and . . . intimate apparel model? With a three-legged cat, fake news, drunken karaoke, romance novel obsessed men, a cocky old lady, and a perverted town prankster, Piper finds Fortuna plumb twisted. All Cole Dart really needs is his family and job working at the Big Deal ranch. After surviving cancer, his life is like a pair of broken-in boots. Comfortable. He doesn’t want the complication of a relationship now. Or ever. But when Piper’s stalker catches up to her, Cole’s protective instincts kick into high gear and he’s determined to step between her and danger, no matter the cost. When a tornado rips through town, Cole’s home is strewn across the county, can Piper help him pick up the pieces and find happily ever after or will the stalker tear them apart forever? Welcome back to the ranch, Jessie and Josiah are working hard at her business and the ranch . When Jessie hires a new hire named Piper . McCracken as her personal assistant Piper is ready to take on small town life until she blurts out that she is a mail order bride for a shy cowboy . Cole Dart . Between the meddling cocky old lady , romance reading men . fake news and a display of the funniest drunken karaoke ever . Piper thinks that Fortuna is plumb twisted crazy . When Cole and Piper come up against her ex fiancé , stalker . They grow closer and Cole feels he needs to protect Piper from all . Will they get their happily ever after or will Justin and his scheming rip them apart for good . This is the second book in the series and most of the characters from book one are back with some new members of the party . Piper is well lets just say she comes off as a mouse and scared of her own shadow at the beginning . Like all good characters we see her really start to grow and become a cocky cow girl that fits right in with the rest of the clan at the Double D ranch. She does have her man I am a stupid woman moments through out the book which makes her even more realistic in my eyes . Cole well Cole has been put through the wringer . Coming back from cancer all he wants is his family and to work again. He is sweet but also so shy when it comes to certain things . He is also very protective of those he loves and takes care of . I just wanted to hug him and tell him every thing will be ok .
Now Justin well I just wanted to slap him and make him go away . He is creepy and gets creepier as the story goes on . You just can't trust him in any way shape or form . This book is funny and sweet also it does takes on a dark side towards the end . You really want the good guys to win and Justin to get what is coming to him . The author adds just the right amount of laughter and steamy . The characters are well written and you will fall for all of them .. There were a few spots where I felt like it kind of drug just a little and it could of been shortened just a little . Overall I truly enjoyed this book and would love to read the next book in the series . So check it out for an afternoon read .